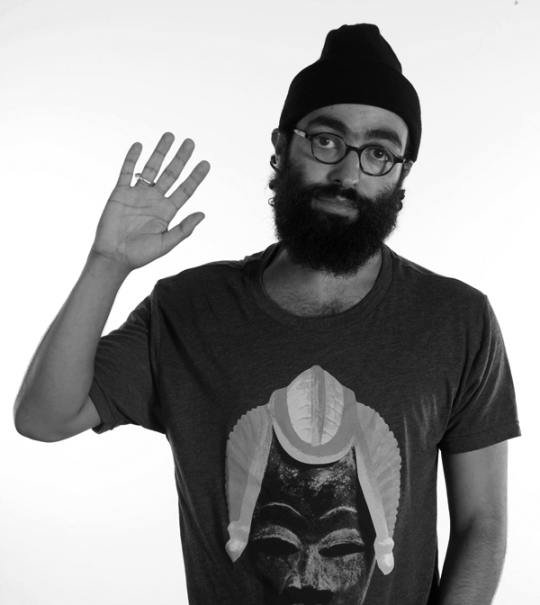 Black Cat is proud to present Kool A.D., a bay-area born and raised musician and author. You probably know Kool A.D., aka Victor Vazquez, as one third of Das Racist, an influential New York-based rap group that rose to prominence in 2008 and helped launched an entire generation of internet rappers. He is prolific by any measure: he has released over thirty mixtapes, numerous studio releases, appeared on myriad other musicians’ works ranging from Toro Y Moi, Kassa Overall to Action Bronson, and released a novel in 2016. Mother Jones magazine describes his work as “a thoughtful effort to deconstruct and rearrange cultural objects in ways that challenge our deepest assumptions”. He joins us for a night of special programming, influenced by hip-hop, R & B, jazz, and spoken word. Expect an enigmatic, thought-provoking night with Kool A.D.!